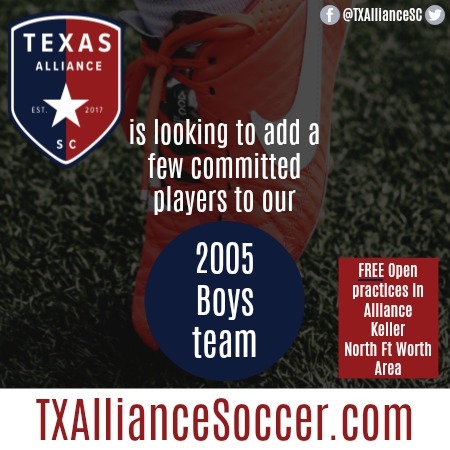 TX Soccer Club is looking to add a few new players to complete our team before July. We are a cost conscious soccer club with professional caliber coaching devoted to the growth and development of each individual athlete. If you are local to the Keller, Fort Worth, Alliance area then you have to come out and meet us! Our FREE Open Practices are Mondays at 6:00pm at Timber Creek High School grass soccer fields. The entrance can be located at the gate across from Caprock Elementary School. We look forward to seeing you out at the fields!